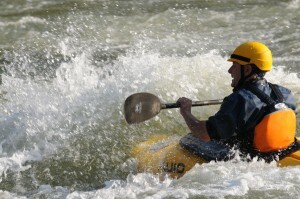 TheZambezi.com is the only company on the Zambezi permitted to take kayakers on the Zambezi River. 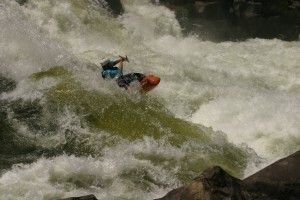 We want to make it as user friendly as we can for people to come and paddle what is one of the best whitewater runs in the world. Recently the Zambian Parks put up the entry fee on gaining access to the river from $3 to $10 (excluding access to Victoria Falls) This is included with all our shuttles to and from the river, as well as lunch, porters and a cold beer at the end of the day. No matter whether it is your first time on the river, or you are a seasoned pro on the Zambezi, our team on and off the water will give you an amazing experience, on this, our home river. 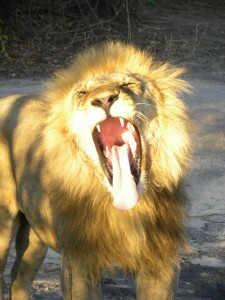 We recommend getting flights in and out of Lusaka as they are loads cheaper than flying into Livingstone. 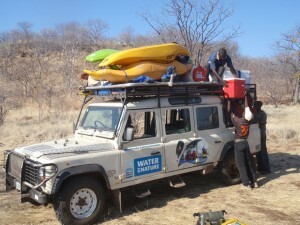 A great place to stay in Lusaka is Lusaka Backpackers and then get the bus over to Livingstone with Mazhandu Family Buses, October is a PRIMO month to paddle. Its HOT and the water level is dropping. Come on out and play on the river and party in town until your heart is content. If anyone needs boats to hire, we have quite the fleet to choose from and can also arrange multi-day trips if you have the time. We can also sort any accommodation for you in either Jollyboys or Fawlty Towers and book any activities you wish to do. 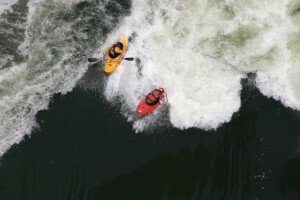 See you for some fun on the river! 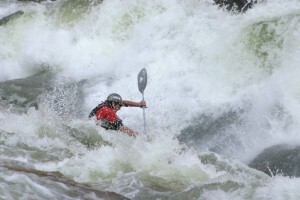 So how can you possibly learn to kayak on what is described as one of the most challenging rivers in the world? Simple. 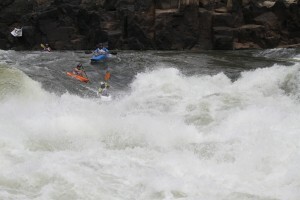 The Zambezi is warm water, the season is long and there are plenty of long flat sections and easy Grade 2-3 to get your skills working before moving onto the harder stuff. 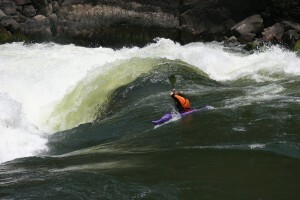 Many people have learned to kayak on the Zambezi and in fact many of the guys who shoot video and photos on the river, have been taught and learned to paddle only on the Zambezi. 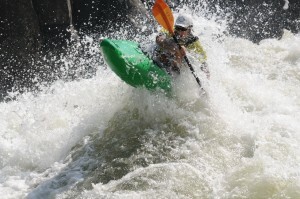 A Zambezi Kayak School, can be anything from a half day taster through to 5-6 days where we get to paddle most of the big rapids on the Zambezi. We teach you from the basics of the eskimo roll in a local swimming pool to running waves and on longer courses, playing and having fun on the river which, in the end is what it’s all about. Our world class team of international instructors will outfit you with kayaks (obviously) buoyancy aids, paddles, spraydecks (to keep the water from going inside the kayak) and helmets. 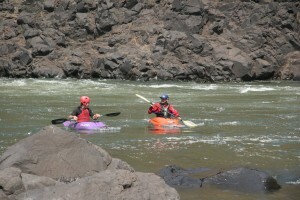 Due to the “Pool Drop” nature of the Zambezi, if you do end up taking a swim, its easy to pick you up and get back in. When it is 24 degree celsius water, 30-40 outside temperature, getting on the Zambezi River for a days kayaking and keeping cool, is one of the best places to be. Groups are small, so it is easy and condusive to learning this fantastic sport. 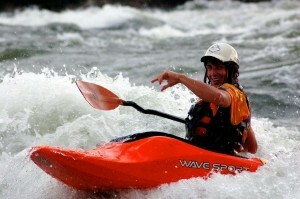 The ideal season for kayaking the Zambezi is August – December. 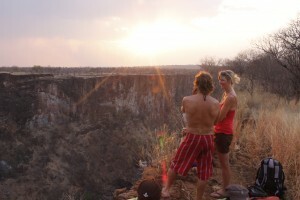 Additionally, you’ll get to stay in Livingstone, Africa’s Adventure Capital. Gorge Swing, Bungy, Jetboat, you can do it all!